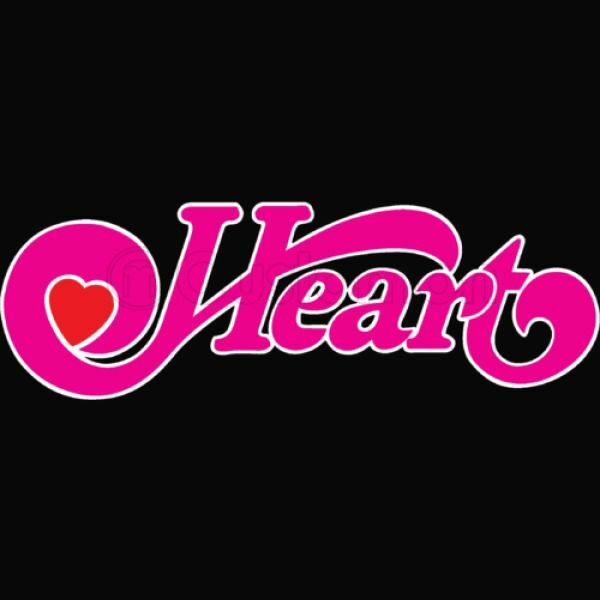 All Heart items listed below are authentic and very limited. We do not carry multiple items. All prices and availability are subject to change. All prices include shipping and handling for all USA customers. All other destinations will require actual shipping cost to complete transaction. Have a question? Ask us before purchasing the item. Thank You. 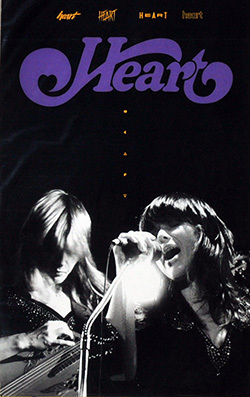 Description: 2 separate 4x5 Autograph Paper signed by Ann and Nancy Wilson blue and purple sharpie pen. 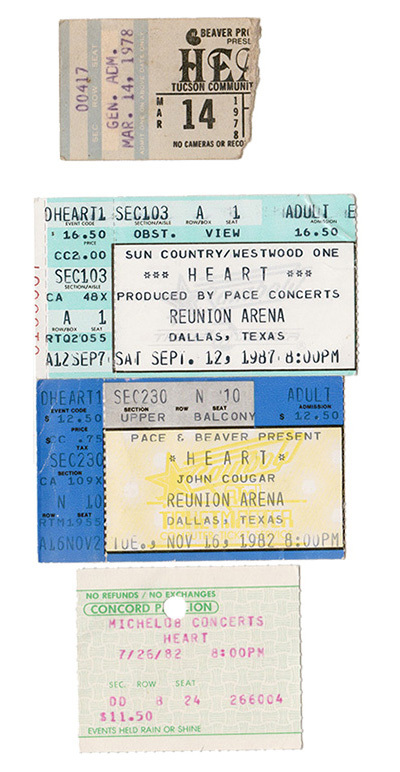 Note: Item signed while on Hearts 1990 US tour at the Starplex Amphitheater in Dallas Texas. 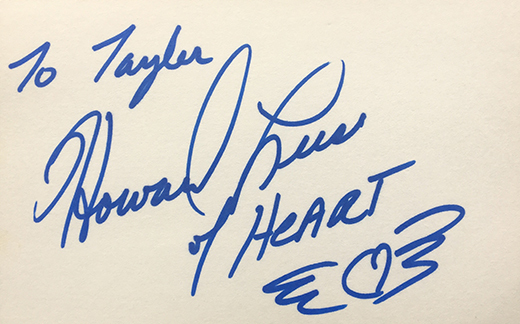 Description: Heart Howard Leese Signed 4x5 Index Card Signed in blue sharpie pen. Personalized to Taylor. 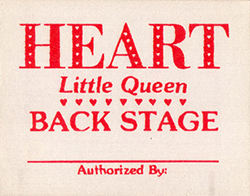 Description: 1977 Heart Little Queen backstage pass. Pass is intact unused. 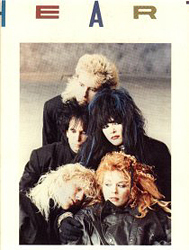 Description: Heart 1986 tour book. 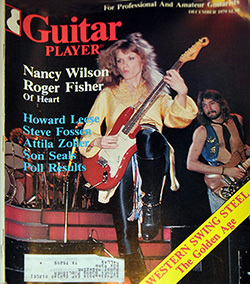 Description: 1979 Guitar Player Magazine featuring Nancy Wilson of Heart. 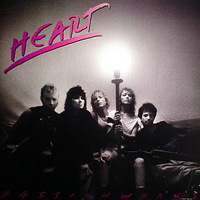 Description: Heart Promo Album Flat. Size 12x12. Item in VG+ condition. 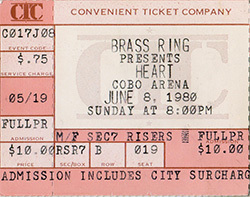 Description: Heart Promo Poster Purple Heart. Size 11x17. Item in mint condition. 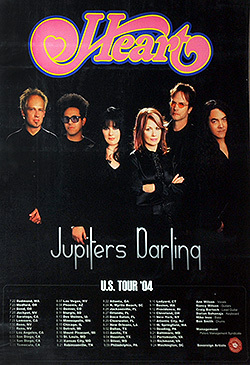 Description: Heart Jupiters Darling Promo Concert Poster. Size 11x15. Item in VG+ condition. 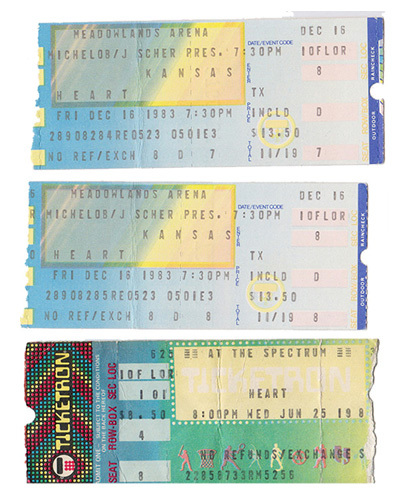 Description: Full Unused Ticket in mint condition. Size 1.5x5. 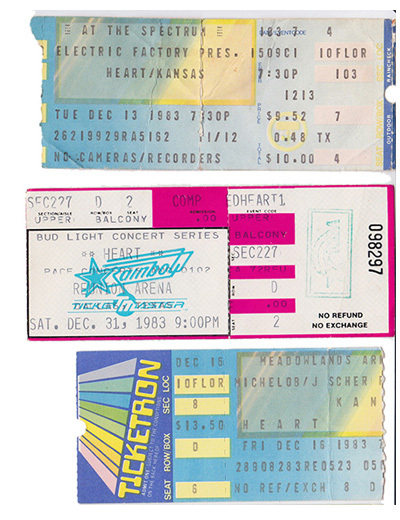 Note: Stub in VG condition. 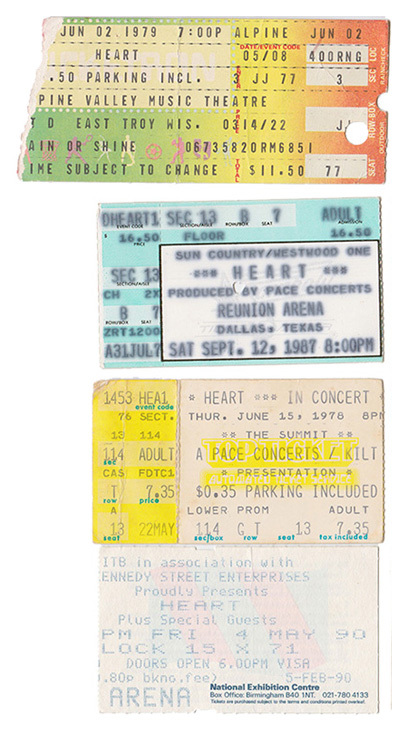 Various Heart Ticket Stubs. Ask For Price Quote. 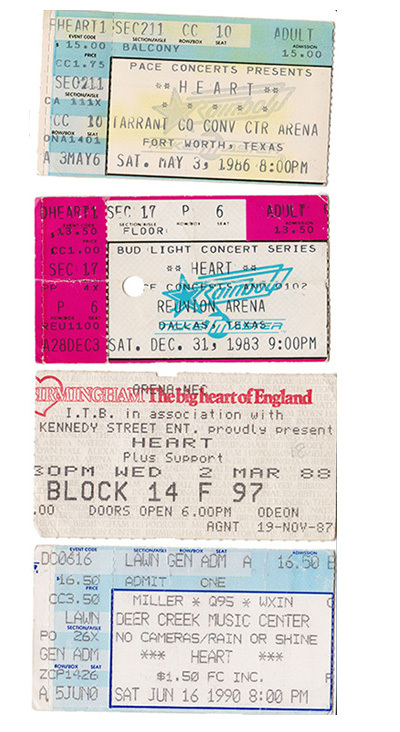 All ticket stubs in stock unless marked SOLD.